Written by Mark Faggiano on December 16, 2015 Blog, Physical goods. 45 U.S. states and the District of Columbia have a sales tax. Unlike the federal income tax (which is what a lot of people immediately think of when it comes to the word “tax” in the U.S.), sales tax is administered at the state level. That means that every state will have slightly different sales tax laws and regulations. This means your very first step is to determine in which states you have sales tax nexus. “Nexus” is just a fancy way of saying a “significant presence” in a state. While there are a lot of different types of activities that can trigger nexus, in this post we’ll discuss the two most common: physical and economic nexus. 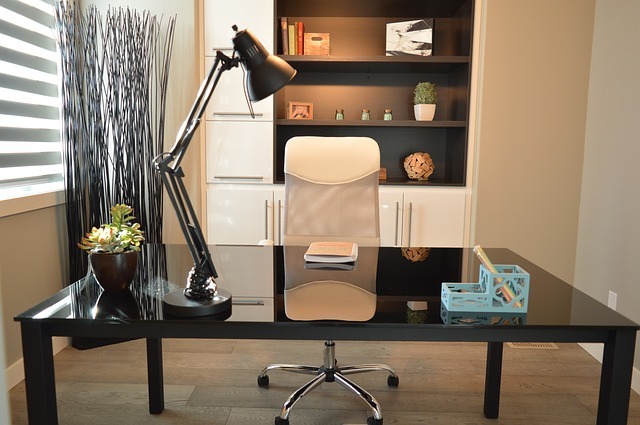 Your office — or an employee’s — can cause you to have nexus in a state. You can find a list of each state and links to their nexus laws here. Again, each state has slightly different regulations, so it’s important to read up on these as your business expands. The next common trigger that WooCommerce merchants need to be aware of us economic nexus. This is the concept of triggering sales tax responsibility because of your economic activity in a state, regardless of if you have a physical presence in that state. This type of nexus recently became legitimized after the Supreme Court in a decision of South Dakota v. Wayfair. In this case, South Dakota argued that the state should be able to legally enforce an eCommerce retailer, Wayfair, to collect and remit sales tax in South Dakota because the retailer had exceeded South Dakota’s economic nexus laws. Although a few other states have had these laws on their books for a while, there was no legal precedent for enforcing it until this landmark decision was made which is why economic nexus may be an unfamiliar concept for many merchants. What this means for WooCommerce merchants is that if you pass a state’s economic threshold that they have set for total revenue in that state and/or number of transactions in that state, you have nexus. Meaning you’re now legally required to register, collect and remit sales tax for that state. Keeping up with economic nexus on a state by state basis can prove to be complicated and challenging, and our friends at TaxJar have created a tool to help you make sense of it all. The TaxJar Sales & Transactions Checker is a service that will look at your WooCommerce sales (and any other channel you sell on) and tell you a list of states where you have exceeded their economic nexus laws. If your business made $200,000 in sales in Minnesota and ran our Sales & Transactions check on your business, we’d tell you instantly that Minnesota is a state where you may have economic nexus. Get started and run the Sales & Transactions Checker on your business today to know where you stand. What does this mean? Here’s the important takeaway: if you have nexus in a state, you should plan to collect sales tax from any customers in that state. You’ll always have home state nexus and need to collect sales tax from buyers in your home state, unless you’re lucky enough to live in one of the five U.S. states without a sales tax. But many store owners begin with sales tax nexus in just their home states and expand later without realizing it. So you’ve determined that you have nexus in one or more states. Before you can collect sales tax as indicated above, you’ll need to get registered to collect sales tax with that state. This is a crucial step. Most states actually consider it unlawful to collect sales tax without a sales tax permit. In their minds, if you represent yourself as collecting states sales tax when you don’t have a license, you could simply pocket the extra money. Here are some guides on how to register for a sales tax permit in every state. You can register online (the fastest way, where you often get your sales tax permit number the same day), by mail, or even in person at a state tax office. Most state sales tax permits are free, but some require a fee. Once you have your sales tax permit(s) safely in hand, you’re ready to begin collecting sales tax from customers in states where you have nexus. This can be a tricky process. Again, because taxes are all different at the state level, you’ll need to know how much to charge to each customer, and also keep track of everything for reporting purposes. Here’s some information on how to set up taxes in WooCommerce manually. This includes how to “layer” sales and local taxes, also. If you’re looking to automate the process and save some time, the TaxJar Sales Tax Automation plugin for WooCommerce makes it simple to collect the right amount of sales tax from your customers. 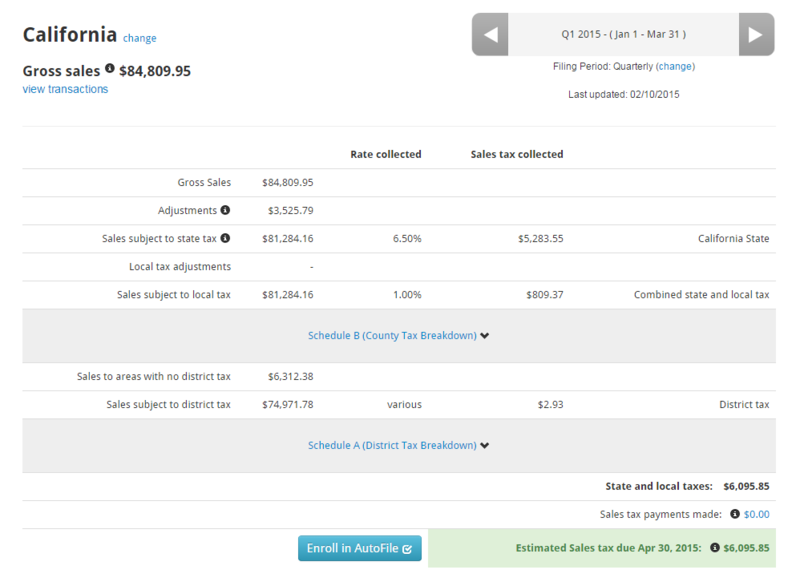 You can find instructions for setting up your sales tax collection for WooCommerce here. TaxJar takes the complication out of collecting state taxes. I’ll get into how sales tax rates are determined in another post. For now, let’s move on to what you’ll need to do after you’re all set up to properly collect sales tax. When you receive your sales tax permit, the state will also assign you a sales tax filing frequency. This frequency is generally either monthly, quarterly, or annually and depends on your volume of sales and sales tax collected in the state. When your sales tax filing deadline approaches, you’ll need to calculate the amount of sales tax you’ve collected in that state. A handful of states make this simple. For them, you’ll only need to determine how much sales tax you’ve collected in the state and include that on your filing. But most states aren’t so simple. They require you to break down how much sales tax you’ve collected not only at the state level, but also by county, city, or other special taxing jurisdiction. In essence, the states have you do the hard work of breaking down sales tax funds collected so they can route the money you remit to each individual jurisdiction within the state. This can be immensely complicated. Store owners might spend hours looking over each transaction, determining which city, county or other district it took place in, correlating this with tax tables, and filling this out line-by-line on a sales tax form. This process isn’t just time-consuming, it’s also prone to error. It also involves downloading sales tax reports from each of your sales channels and trying to collate them into a giant spreadsheet. Sales tax reporting and filing can take an average of five hours per return, and even more time in complicated states like California and New York. All the better reason to use an automated system like TaxJar to collect your sales tax and prepare your forms for you. Some states have complicated filing requirements, like California, which ups the amount of time you might have to spend on filing. Once you’ve done the hard work of figuring out how much sales tax you collected in your state, you can login to your state’s sales tax system to file your sales tax returns or file by paper or telephone. To remit the actual tax you’ve collected, you can generally pay online or mail in a check. Here’s a list of states that includes the links to file your sales tax returns as well as sales tax filing due dates. File “zero” returns. File your sales tax return by the due date even if you didn’t collect any sales tax. Most states require this and penalties for failing to file can include anything from cancellation of your sales tax permit to a penalty. File on time and you might get a discount. About half the states realize that collecting sales tax places a burden on merchants, and they give a small discount for filing and paying on time. Here’s a list of states that offer sales tax discounts. Once you file, the process starts all over again. Welcome to the world of sales tax! And with that, congrats! You’ve made it to sales tax compliance. You’re finished with setting up and filing your state sales taxes… at least until the next deadline rolls around. We hope this introductory guide has helped you wrap your mind around sales tax and feel more confident about this necessary administrative hassle. It might not be fun, but it’s a crucial component of setting up your WooCommerce store. For a more in-depth look at WooCommerce sales tax, check out our WooCommerce Sales Tax Guide. Have any questions that the guide doesn’t answer? Feel free to ask them in the comments — we’ll be happy to help you out. Hello! sorry for my english is little. 10.000,00 Bs. and not other money! I am thing want is possible change? Hey Mithun! The TaxJar extension starts at $19/month and has a couple plan options depending on the number of transactions that are processed. 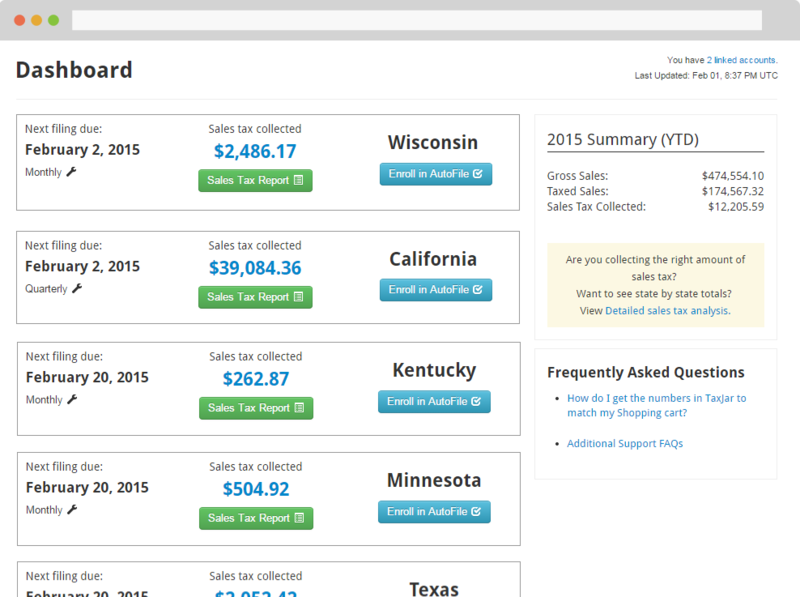 You can find some more info here: http://www.taxjar.com/woocommerce-sales-tax-plugin/ … or I can definitely ping Mark for you to answer any more questions. Our webinar will have some more info, too, so check it out if you have some time 🙂 Thanks for commenting!